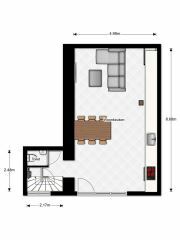 THE ASKING PRICE OF € 250.000,- PLUS COSTS, IS BASED ON AN ANNUAL GROUND RENT OF € 8.652,-, BESIDES IT IS POSSIBLE TO BUY OUT THE GROUND RENT IN PERPETUITY WITH A SINGLE REDEMPTION PAYMENT OF € 362.000,- THE ANNUAL CHARGE WILL THEN BE CANCELLED. 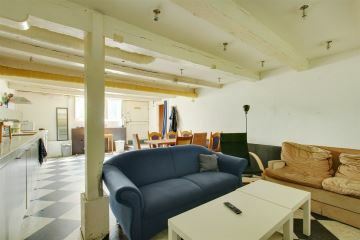 Unique and characteristic apartment (110 m2) located in a heritage listed building in Amsterdam’s city centre. 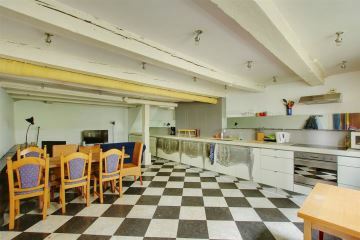 It is a surprising house in many respects, with a fancyful and unusual floor plan, offering many opportunities. 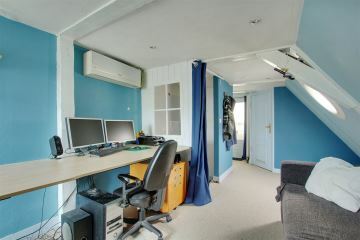 The building has te be renovated and tailored to meet today’s requirements, both inside and external. 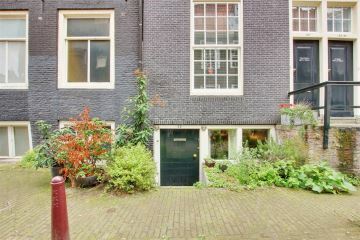 The entry is in the basement on Derde Weteringsstraat 44 and continues to the first and second floor on Vijzelgracht no 20. 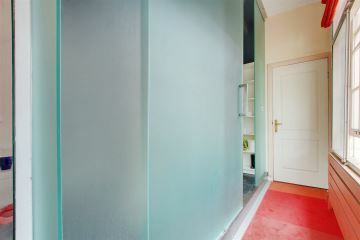 Private entry on Derde Weteringdwarsstraat 44, the basement is approx. 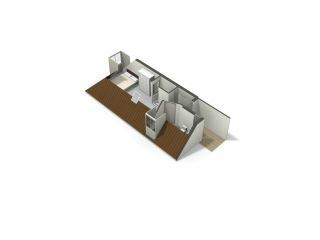 43m2 and is used as a living room and kitchen. 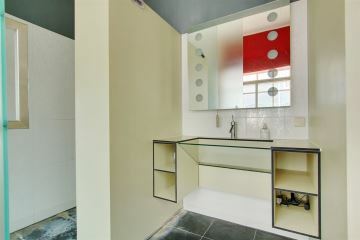 The kitchen is equipped with various built-in appliances such as a dishwasher, oven, electric hob and a hood. 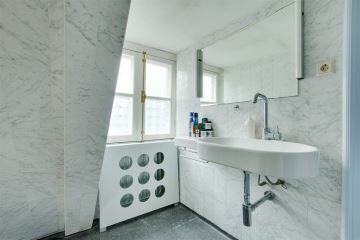 A landing with a separate wc leads to the staircase to the first floor, on the landing of which is the central heating unit, meter cupboard and a washing machine (Vijzelgracht 20), this landing gives access to a spacious bedroom and a bathroom with a shower and WC. 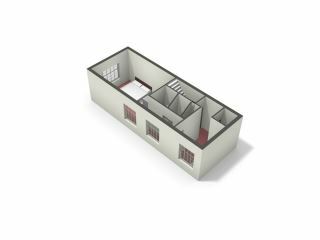 On the upper floor there is a spacious (bed)room, a bahtroom with a bath tub, WC and a wash basin and a terrace of approx. 4 m2. 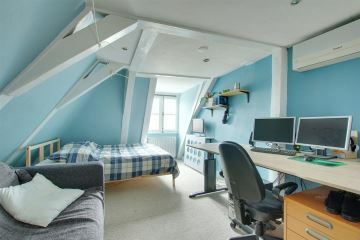 There is also an attic. The apartment is situated in Stadsdeel Centrum, within walking distance of Spiegelkwartier, near Spiegelgracht, Leidseplein, Amstelveld and at a stone’s throw of the Rijksmuseum. Shops, restaurants and museums are in the vicinity. The apartment is easy to reach by public transport, the entry of the Noord-Zuidlijn underground is close by and provides a direct line to Amsterdam Noord and Station Zuid. Several documents concerning this property are available, including zoning plan details, soil investigation, energy label, foundation details, insurance details, land registry details, inventory of asbestos , certificate of measurements with floor plans, woz-details (Valuation of Iimmovable Property Act), deeds of division, drawings of division, draft leasehold agreement, financial framework and a bid form. 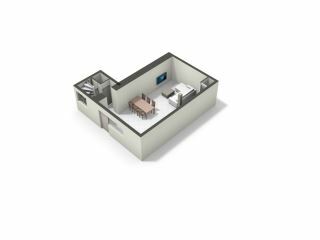 The documents concerning this property can be examined in the digital safe on our website. Please contact us for a passport to the safe. 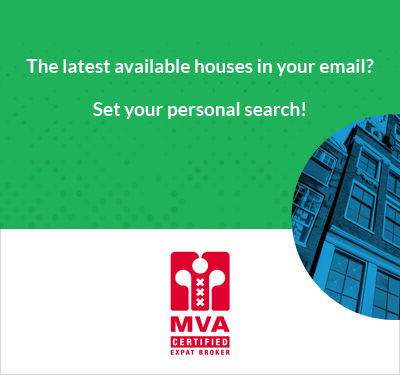 The apartment rights reside under two VvE’s (HOA’s), The VvE (HOA) Derde Weteringdwarsstraat 42-44 and the VvE (HOA) Vijzelgracht 20. Both VvE’s (HOA’s) are dormant, meaning that they are not active VvE’s. The VvE’s have no financial reserves and there are no long-term maintenance plans. The purchaser should re-activate the VvE’s, along with the other members. The above mentioned may be important with regard to funding applications, therefore we advise you to discuss this matter with your consultant before making a bid. 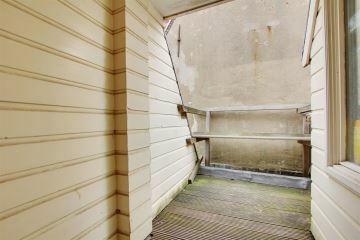 The property is currently on loan, we have agreed fixed dates with the user, when we can visit the property with you. Please contact us to make an appointment. Perhaps unnecessary; the property will be delivered vacated and empty. The Gemeente Amsterdam, who have commissioned us, have asked us to put the property publicly on offer for at least six weeks (i.a. on Funda). Within this period of six weeks, the property Derde Weteringdwarsstraat 44 will not be granted to any prospective buyer. The bidding period will close on Monday 18 March 2019, before 14:00h. A bid form is available at our office. The bid form has to be filled in completely , initialled and signed, and must be accompanied by a copy of a valid proof of identity, and if applicable, an extract of the Chamber of Commerce, and has to be sent/mailed, preferably in one pdf-file, to Notariskantoor Spier & Hazenberg. 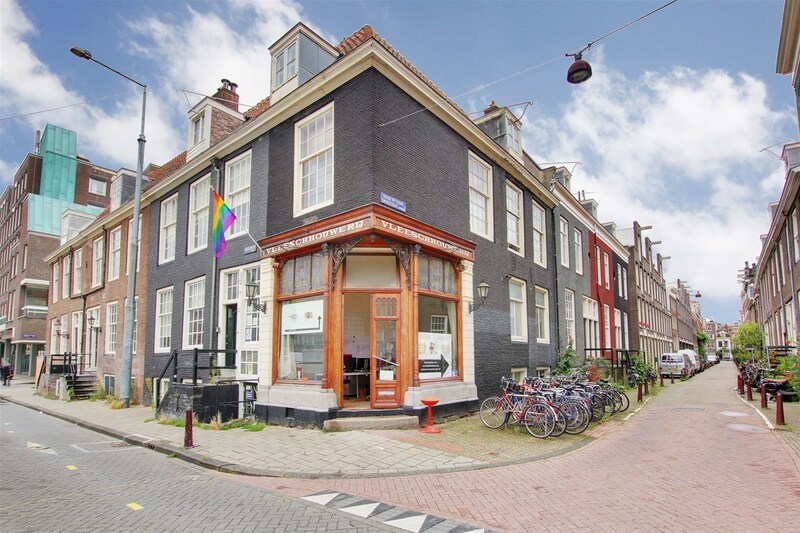 The property is offered subject to a screening of the integrity of the leaseholder, based on the municipal integrity policy and an administrative decision of the College of Mayor and Alderpersons of the city of Amsterdam. 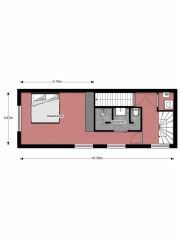 This sale is subject to several additional provisions and particulars, among which the deposit. More information is available in the ‘Financieel Kader’ ( financial framework) . 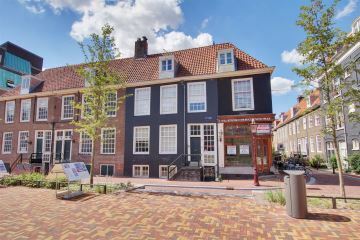 The ‘Financieel Kader (Financial framework) and the brochure ‘Verkoop van gemeentelijk vastgoed’ (Sale of municipal real estate) apply to this offer. 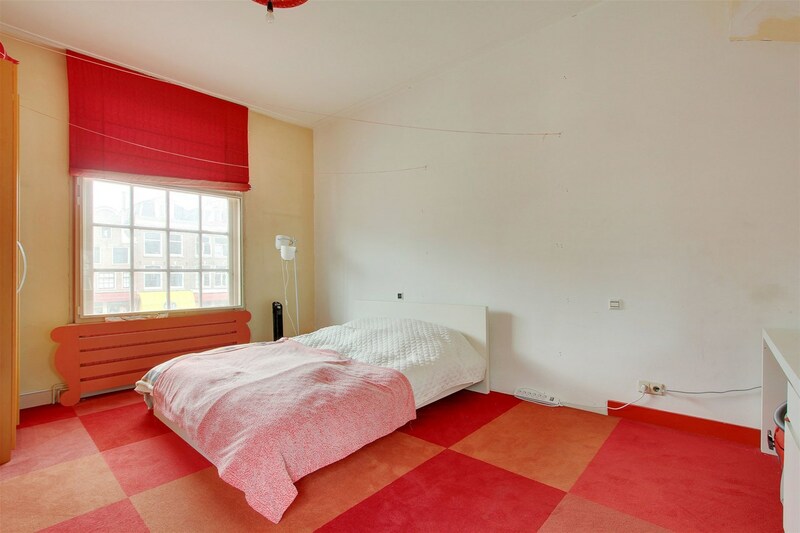 In this brochure the City of Amsterdam has detailed the (process) conditions, on which the municipality offers real estate for sale. This brochure can be downloaded from the website www.amsterdam.nl/aanbodvastgoed. The ‘Financeel kader’ is available at our office. 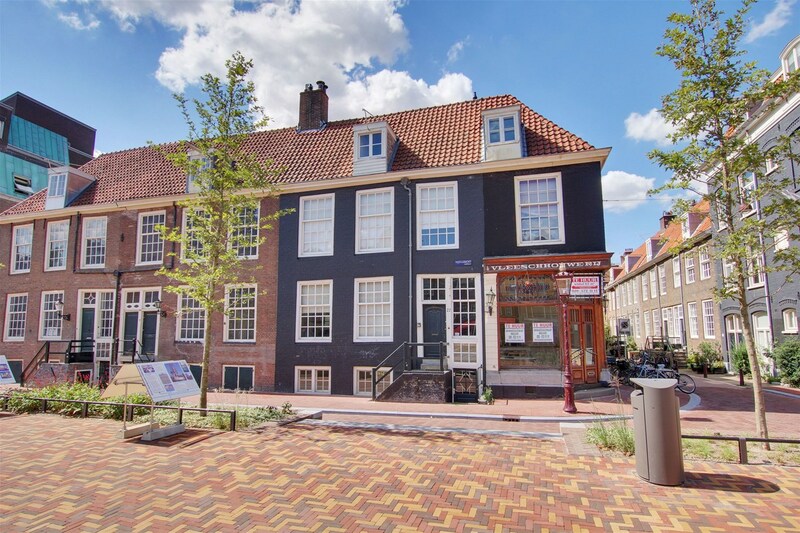 Following a positive decision of the college, the leasehold will be established, based on the Algemene Bepalingen (General Provisions) for perpetual leasehold 2016 Amsterdam. 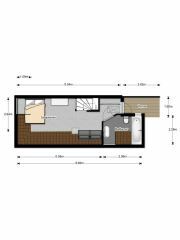 This will take place no later than 2019 and is subject to the dissolving conditions as defined in the leasehold contract. The apartment will be delivered as is, empty and vacated. This area is known as the quiet part of Amsterdam Centrum. Amsterdam East is an environmentally friendly area with canals and important cultural buildings. 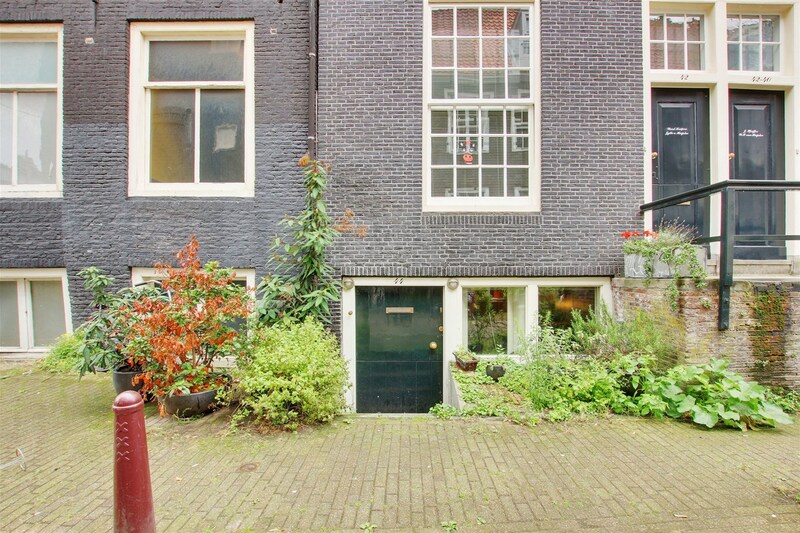 These characteristics make this part of Amsterdam ideal as a residential area. Unlike downtown this area consists of many young couples who are starting with their careers. East and the eastern islands and the old harbor-area is still relatively vacant, but that will change in the upcoming years with the Weesper- and Plantagebuurt still in development.